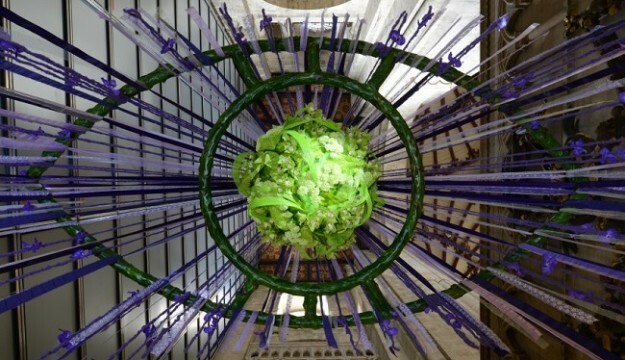 Illumination: A Festival of Flowers runs from 5 to 9 September, with a stunning array of flower arrangements inspired by the magnificent Winchester Bible, the largest and finest surviving 12th-century English bible. 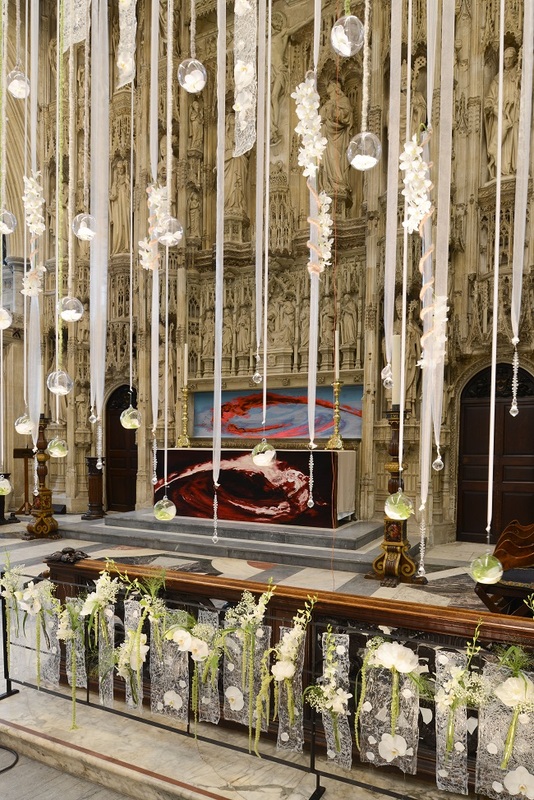 This year’s eagerly anticipated festival follows two spectacular and highly regarded flower festivals in recent years, and the Cathedral will once again be transformed by striking and fragrant floral displays. Visitors will be invited to immerse themselves in a riot of colour and admire a variety of flower arrangements evoking the Winchester Bible’s exquisite illuminated initials and elaborate decorative schemes coloured with gold and lapis lazuli. One volume of the Winchester Bible is currently on display in the North Transept of Winchester Cathedral. From next year, all four volumes of the Winchester Bible will be on display in the Cathedral’s new multi-million pound exhibition Kings and Scribes, opening in 2019. 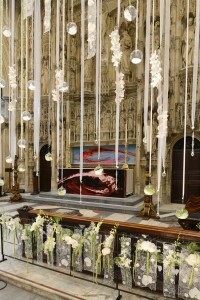 Returning to the festival is Creative Director Angela Turner, having designed the Cathedral’s Flower Festival in 2013. Angela is a regular exhibitor at RHS Chelsea Flower Show and has won many of their highly coveted RHS gold medals. Angela’s flair and understanding of the Cathedral will result in a spectacular event. Most of the arrangers themselves will come from across the region of Wessex and Jersey NAFAS (National Association of Flower Arranging Societies). “We are delighted to welcome Angela back to Winchester Cathedral for this year’s Flower Festival.” says Canon Annabelle Boyes, the Cathedral’s Receiver General “I have no doubt that Angela’s skill and creativity will result in a truly unique and spectacular event. Michael Bowyer – Salisbury based national and international demonstrator, judge and teacher, fresh back from the World Flower Show seminar in India. Wendy Howden – Salisbury based Designer of the 2004 flower festival, Chelsea gold medal winner and also holder of the rare NAFAS Gold Ribbon for three consecutive first places at the National Show. Ticket prices range from £7 – £12 with a variety of concessions available (including groups of 15+) and can be booked via Winchester Cathedral Box Office on 01962 857 275 and www.winchester-cathedral.org.uk. A full list of prices can be found on the website. Special afternoon tea packages are also available from £14 per person, along with afternoon tea and flower arranging demonstration packages from £20 per person. Advanced booking is recommended for afternoon tea as spaces are limited. Groups booking in advance can benefit from group admission rates and fast-track entry to the event. Winchester Cathedral’s Visitor Services Team can offer advice regarding coach drop-off points and parking. Call 01962 857200 or email box.office@winchester-cathedral.org.uk for more information about group visits.